Haven't updated since the start, but I have done so much!! Spent a few days in Bangkok where I saw the grand palace, reclining budah, emerald budah, crazy shopping malls, rode on a tuk tuk, boat, taxi, sky train, and ate great food. 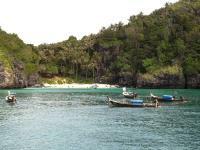 Then we headed to karon beach in Phuket. We got a flight down and pocked up from the airport. It's quite there but we relaxed on the beach and got manicures :) o I remember in Bangkok we also got a Thai massage, amazing!! From karon we decided to go somewhere a bit more lively so headed to the idyllic phi phi island, definitely more lively... Party island! We stayed in a beach hut with amazing views!!! Paradise!! :) we went on a boat trip one day to go snorkelling and visit all the tiny islands, one of which was the one out of the beach movie and James bond!! I did loads of swimming! U freaked out at first snorkelling, I don't know why?! Full on hyperventilating, but I kept trying again and again and conquered my fear, it is amazing... Love it :) We then let a tourist information woman convince us to go to ko lanta, she told us trip to airport would be only 3 hours back but the hotel guy said t was actually 5!!! Se cheated us so we had to pay more to go privately! 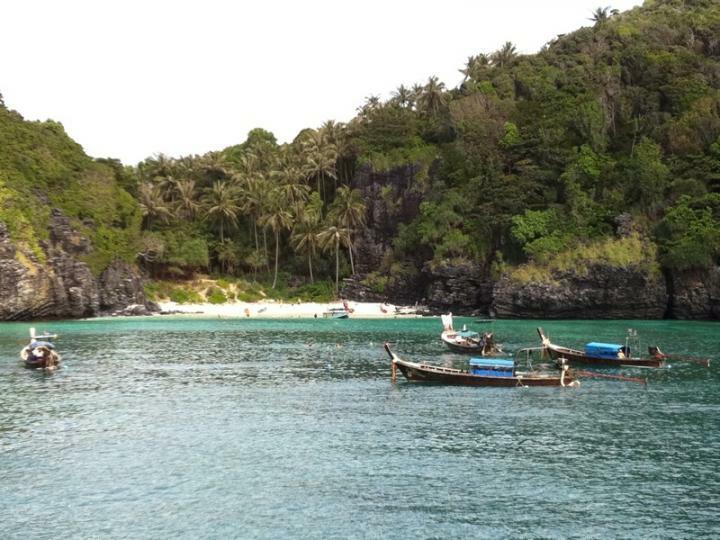 Rigth enough ko lanta is beautiful, very peaceful! We did elephant trekking and chilled. Onwards to Bangkok for my tor into camobia and Vietnam!